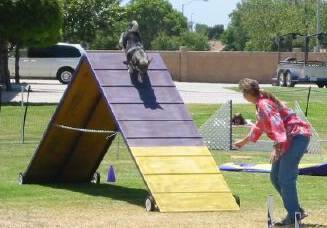 Ivy Underdahl is one of the trainers at Gentle Touch Pet Training in Arroyo Grande, California. After taking her dogs through Gentle Touch Training from Puppy Kindergarten to advanced training, she began interning with the owner of GT, Teah Anders. After a year or so of internship, she began assisting in the classes. Eventually Teah recommended Ivy start teaching one of the beginning classes.During her journey through this amazing art of “clicker training” using the science of operant conditioning, and positive methods to train animals, (the same methods used in Sea World to train killer whales!) her career has blossomed. She now teaches the Basic Clicker Training Class each week, as well as assisting people in their homes with their dogs through private sessions. 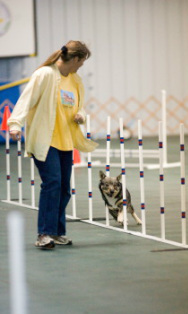 Each year she attends the Clicker Expo to further her knowledge and stay on the cutting edge of the training methods, as well as attending the Association of Pet Dog Trainers conferences, and many other seminars. 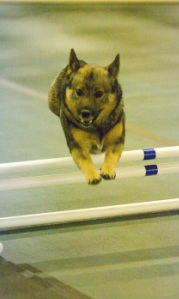 She is now a member of APDT, and is studying to pass her certification test for pet dog trainers. Ivy has always maintained that if it were not for this method of training coming into her life when it did, she would probably not own dogs. Clicker training and the use of positive reinforcement has definitely changed her life, especially since these methods can also be used in daily interactions with her own species! All of her dogs have been trained since the age of about 9 weeks using Clicker Training, and the two older dogs have their herding certificates, Canine Good Citizen awards, and did exceedingly well at their specialty in herding, obedience, conformation showing, and agility. 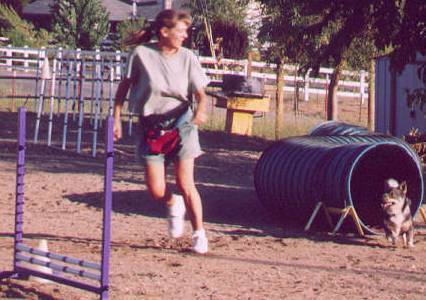 Her eldest dog, Blaze, is the dog-love of her life, and the two of them travel to agility shows, enjoying the agility runs as well as hanging out in the motel room together. 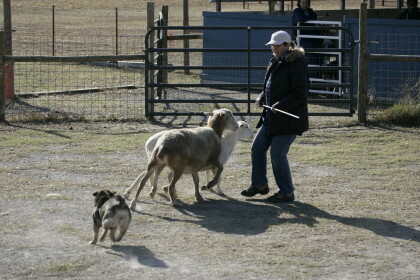 They have traveled many hours to attend herding workshops, as well as Rally-O, and clicker seminars. 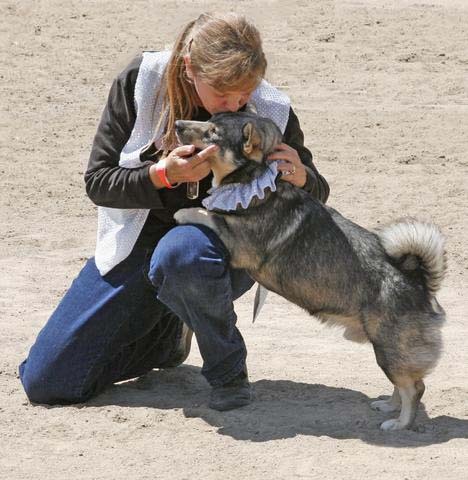 She attributes her dog’s trainability not only to the breed (Swedish Vallhunds—a herding breed) but to the amazing gift of positive reinforcement and the use of clicker training. It has changed her relationship with animals, and fostered a communication previously unimaginable to her.